To Attain What Was Once Unattainable. The greatest aspect of Yoga is that there is always room to grow. It’s so important to enjoy the journey of your practice every time you step on the mat, even when progress seems to slow down. Yoga allows you to access the strength you didn’t know you had, be it physically or mentally. You will always find yourself reaching for new goals because you’ve surpassed the last. One meaning of the word “Yoga” quoted from the book; The Heart Of Yoga, by T.K.V Deskachar is “to attain what was previously unattainable”. That is exactly what Yoga means to me and I think about that quote every time I practice. Hatha trained Yoga Instructor. Crossfit Trainer. With over a decade of experience teaching Hatha yoga, I've logged hundreds of hours training strength, endurance and crossfit athletes. Combining strength and conditioning with consistent mobility training will improve both your current fitness level AND your athletic longevity. Yoga will increase your range of motion, create body awareness and help unleash your full athletic potential. Yoga is a disciplined practice, but I encourage laughter and fun to create a welcoming, relaxed environment. 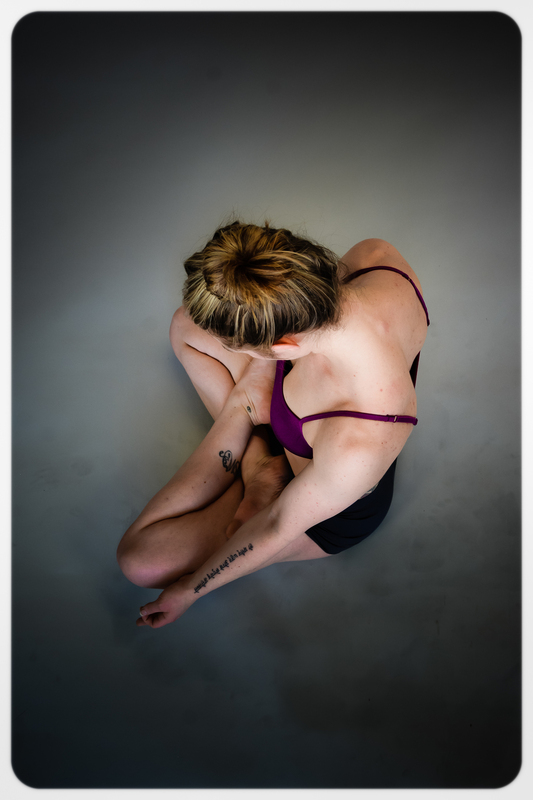 One of the beautiful things about yoga is that there is a pose for everyone -- classes can be modified whether you are a seasoned Yogi or someone who has never seen a yoga mat! If you are a pure Yogi looking to enhance your practice, my emphasis on bodyweight strength will help you gain more confidence in your arm balancing and inversions. Learn to be comfortable in your handstands and arm balancing transitions -- take your practice to the next level! Yoga is a full bodied practice, targeting all muscles with a core abdominal focus. The challenging full body aspect will strengthen and tone your muscles. By learning to control your breathing and focusing your balancing poses, you can drastically reduce stress and anxiety. No matter what your goals are, adding yoga as part of your weekly routine will help get you feeling and looking your best!